Error (Warning) - “installVoyant.jnlp" can’t be opened because it is from an unidentified developer” (Mac) – Have a question? “[Voyant] can’t be opened because it is from an unidentified developer”. Voyant is not a registered as an Apple-approved software development company, so you may very well get this message after downloading and attempting to launch Voyant for the first time. This security feature is called GateKeeper. It doesn’t absolutely prohibit unverified applications from being run on your Mac, but you will have to choose either to temporarily disregard the GateKeeper security wall or turn off this setting altogether. This is probably the best option for most users, since it maintains some security, especially if you don’t trust your own judgment when downloading and launching applications from the Internet. 1. Find our installation file, installVoyant.jnlp, in your downloads directory. - If you are using a recent release of the Safari browser to download Voyant, you may need to click the none-too-apparent downloads directory, top-right. 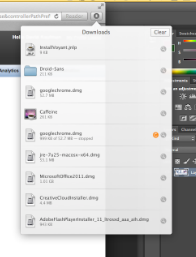 Click the small Download button (the downward arrow) in the navigation toolbar, top-right. A list of downloaded files will be shown. Find the InstallVoyant.jnlp. 2. Right-click (or control-click) on the InstallVoyant.jnlp and choose “Open”. 3. Click the “Open” button at the next dialog warning to launch Voyant regardless. 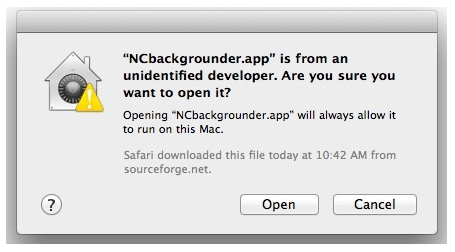 You can do this to launch any third-party application that is not verified by Apple. 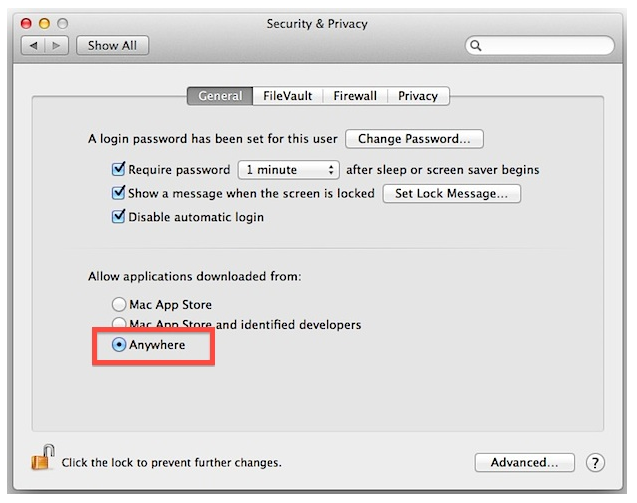 If you tire of constantly right-clicking applications to open them and would like to return to pre-Mountain Lion levels of application security, the option is available to completely switch off the Gatekeepers app verification. 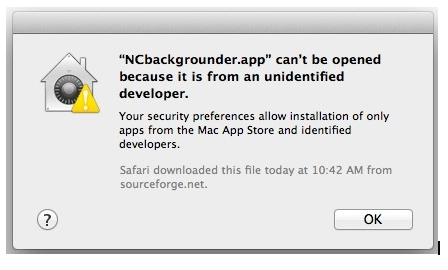 Option 2 – Permanently disable GateKeeper’s unidentified application developer prevention. 1. 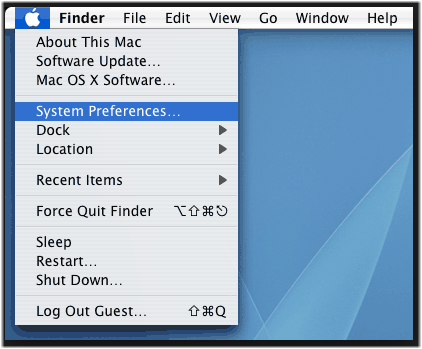 Open the System Preferences from the Apple menu, top-left. 3. Find the “Allow applications downloaded from:” setting and choose “Anywhere”. - Note: If the “Allow applications downloaded from:” setting is disabled (greyed out) you may need to click the padlock in the lower-left corner of the dialogue, to unlock these settings and allow them to be edited. 4. Accept the security warning and allow. You can now launch any app from any location or developer.